I always love the hero of a story, especially when he’s able to say something that people can’t object to. However, this time, I find it more interesting to have someone being able to challenge our hero’s perspective and slowly, he is accepting the fact that the thing the other person says makes sense. A hero that is doing the right thing is good, but one that admits his wrong is a tad cooler. While Chae-Yoon is finishing his introduction to the Mil-Bon soldiers, Ki-Joon and his fellow Mil-Bon have already received the news about So-Yi and Prince Gwangpyeong being in their custody. They are quite surprised, but Ki-Joon decides he’ll see them personally. 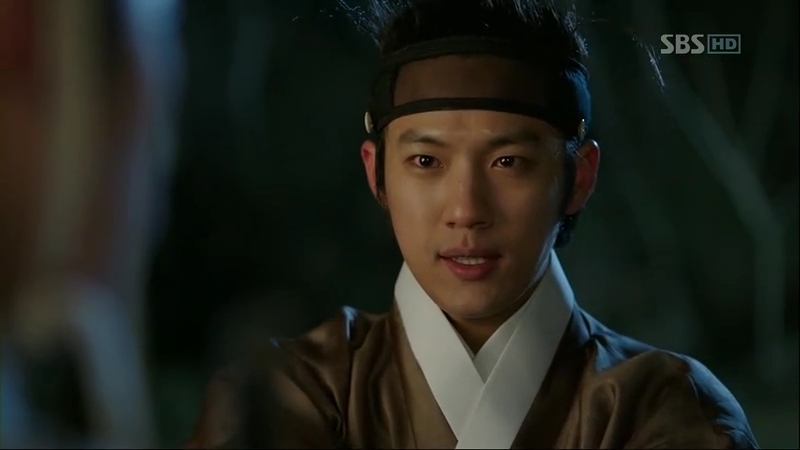 Chae-Yoon defeats the men easily, and he unties both So-Yi and Prince Gwangpyeong. They thank him but he doesn’t say anything in return. Instead, he reaches for So-Yi’s hand and drags her away. So-Yi tries to escape but he puts her onto his shoulder before walking away. Thinking that Chae-Yoon might hurt So-Yi, Prince Gwangpyeong takes one of the swords lying around and stops Chae-Yoon from taking So-Yi away. He stops and puts her down while warning the prince not to interfere. 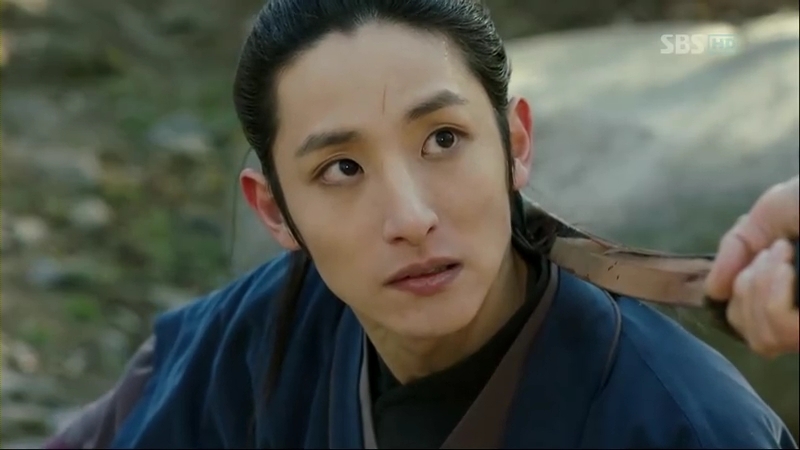 He ignores the prince and instead starts asking So-Yi why she wanted to meet him earlier. She was trying to make him stay, as she knows he won’t leave her just like that. However, Chae-Yoon says he can live without her, be it in the past, present, or the future. Then, So-Yi asks something that makes him in loss for words: the reason he comes to her. 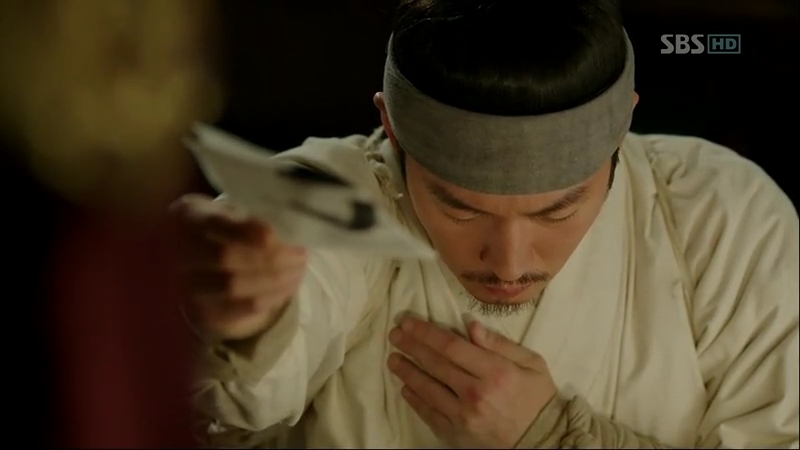 Mil-Bon thinks they are at advantage over Sejong as they have both the evidence and the prince right now. Without wasting any time, Ki-Joon orders for another notice to be circulated around the city to further press Sejong. As So-Yi is demanding to know why he came for her, he comes clean about his real intention. He wants her to quit whatever job he’s doing for Sejong as he doesn’t want her to be harmed. He thinks So-Yi is putting her life on the line, almost dying every time she carries out a mission while the king sits idly inside the palace, safe and sound. Cha-Yoon feels like Sejong is using her and ignoring the prince’s objection about his father, he says Sejong only cares about his own glory rather than thinking about his people’s lives. 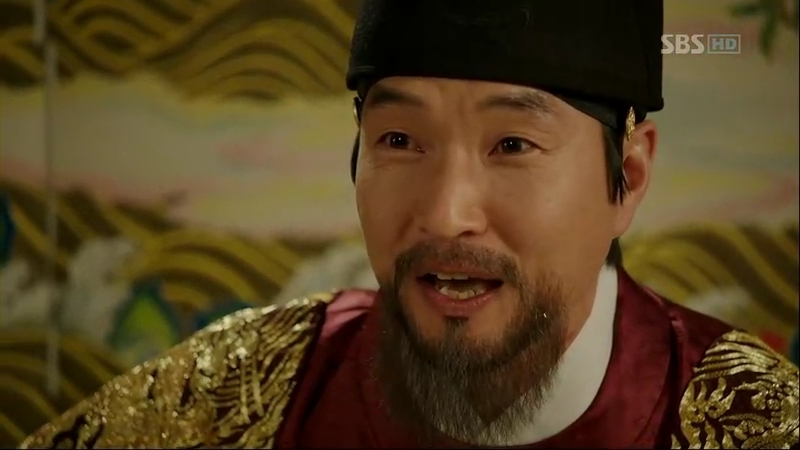 Prince Gwangpyeong speaks up for his father, saying that his father loves his people so much. 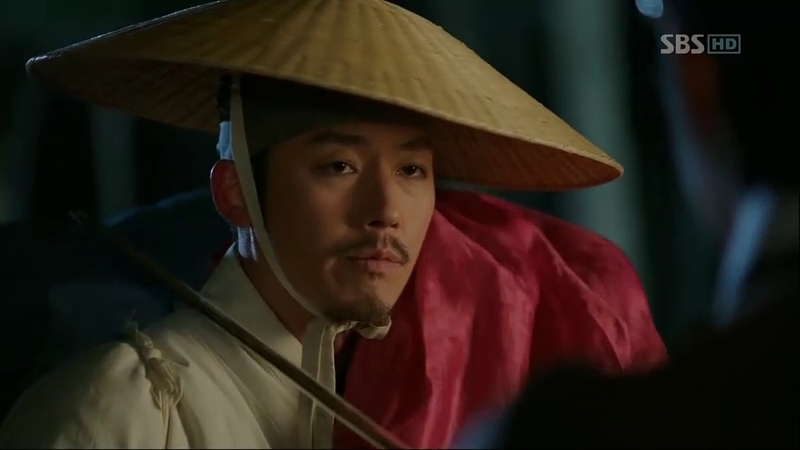 Chae-Yoon doesn’t believe his words and says the prince’s life is more precious than his and Dam-Yi’s lives as he’s someone important to the country. Even if Mil-Bon wants Sejong to give up the alphabets for his son’s life, he won’t think twice. The prince knows the king would never stop although his son’s life is on the line. Chae-Yoon offers Prince Gwangpyeong an opportunity to test whether Sejong would choose the alphabets or his son. Putting his bet, he will sincerely offer himself to whatever Sejong wants him to do if he lose, but if he win, then Sejong will experience what he had once experienced: the feelings of losing a family. The prince agrees. Ki-Joon goes to Mil-Bon’s base together with Han and Scholar Shim in order to meet Prince Gwangpyeong, but they just know that the people assigned to bring him back are nowhere to be found. They are panic with this sudden revelation and decide to take down the notice they distributed earlier. Minister Jeong already has a copy in his hand, which he’s reading the content to Sejong. They think something must has happened, and then they get to know about So-Yi and Prince Gwangpyeong being kidnapped along with the evidence they’re trying to bring out of the palace. It’s too late for Mil-Bon to take down thee notice. People have already noticed it begins making speculation about the king making the alphabets. Ki-Joon tells Scholar Shim to return to the palace to observe what’s currently going on inside there. Minister Jo isn’t happy with this and being an anti Mil-Bon he is, he thinks it’s unforgivable for them to kidnap a prince. 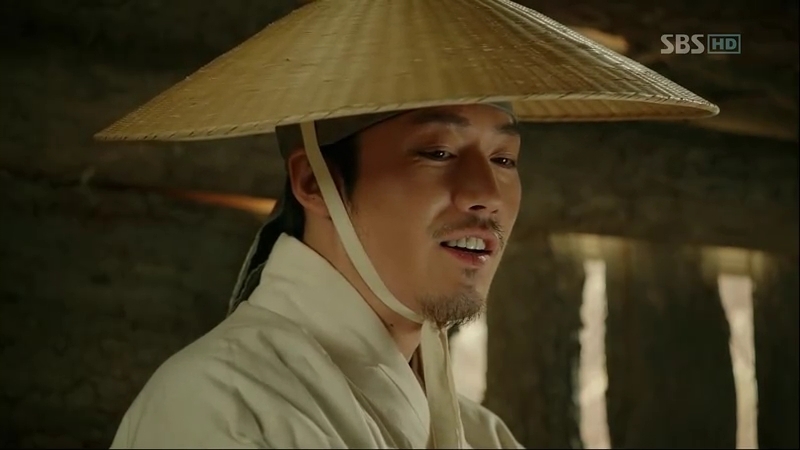 Minister Lee tries to change the subject and begins wondering about Sejong’s decision to open up Gyungsungjeon to the public, whether it’s just a mere lie or not as the king has also moved away the evidence.Scholar Shim enters the room in the middle of their conversation, and Scholar Choi’s explanation puts him in light and surprise. Park Po comes running to Chae-Yoon’s house to tell about the hot news, only to find Cho-Tak alone, reading the letter left by Chae-Yoon. Cho-Tak realizes that’s the reason why his friend is acting weird, saying that he gave up the revenge. Park Po demands to know about the revenge, but while Cho-Tak is explaining a bit to him, Ki-Joon overhears him. Back to his place, Jeong Ki-Joon receives the latest news from Scholar Shim, saying that Prince Gwangpyeong hasn’t returned to the palace. Putting two and two together, he knows that Chae-Yoon is holding the prince in his custody as one of his method to get back on Sejong. Ki-Joon can’t believe how lucky he is this time and orders Mil-Bon to search for Chae-Yoon. 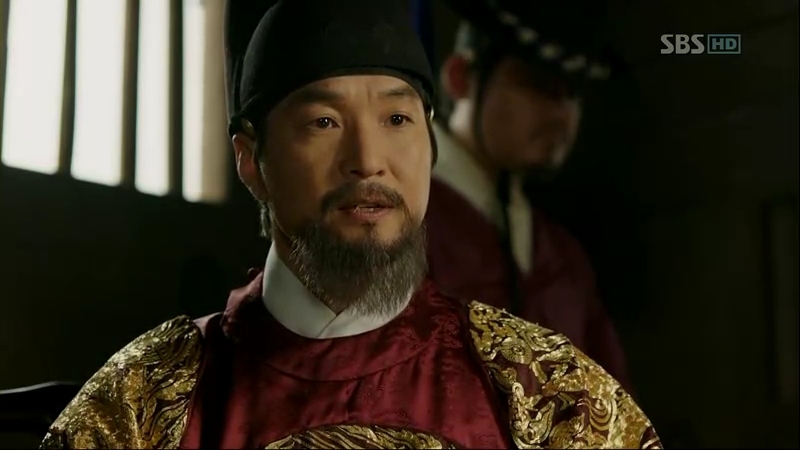 In the palace, Sejong is being bombarded with suggestions from Moo Hyul and Minister Jeong about the prince’s safety and the risk of him being in custody of the Mil-Bon. They are at a hut where Prince Gwangpyeong finishes writing the letter. 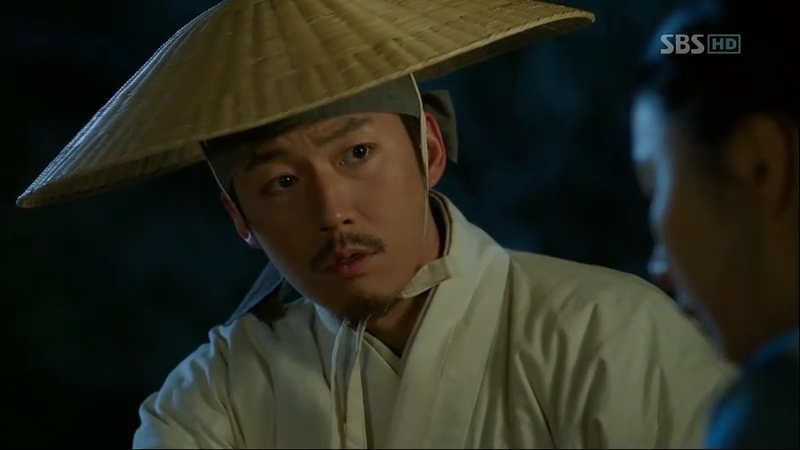 Chae-Yoon goes to pass the letter to Moo Hyul but on his way, he overhears people talking about the prince’s kidnap and the notice. He cancels his trip to meet Moo Hyul and instead returns to his house. Cho-Tak is surprised to see him back, but he still tells him what he knows about the notice. Chae-Yoon deduces that Mil-Bon might thought they have got the prince and Mil-Bon might have known it was him who took away the prince from them as he introduced himself before. He runs off, leaving Cho-Tak behind. Mil-Bon is still searching for Chae-Yoon and Ki-Joon feels it’s better for them to stick with the original plan. They can act like they are the one who kidnapped the prince and find Chae-Yoon before anything happens. Although they are aiming for Sejong to stop his work to make the alphabets, he knows he won’t stop just like that. He is confident the alphabets would receive the same treatment from the public, just like what happened to other writing systems that had ceased to exist. 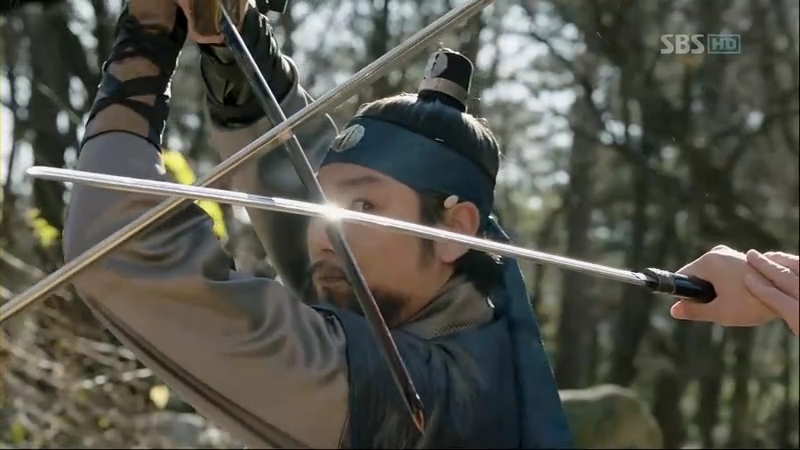 Being injured from the fight with Mil-Bon soldiers, Prince Gwangpyeong begins to feel the pain from the stab on his arm. He doesn’t want to give up yet and he’ll try to bring Chae-Yoon to Sejong per his father’s request. So-Yi explains that Sejong doesn’t need Chae-Yoon to make the alphabets; they actually need each other to cure each other’s hearts. Although she wants to get a doctor for the prince, he wants So-Yi to keep it a secret from Chae-Yoon as he suddenly returns to them. Chae-Yoon informs him about the latest news. Sejong must have thought it’s Mil-Bon who kidnapped him and he might thought that his son is in great danger as the organization is scarier than Chae-Yoon himself, with three murders in their record. The prince is sure his father would continue to work on the alphabets despite him being in danger and he himself is not scared although his life is on the line, because Taejong’s ruthless blood flows in their veins. 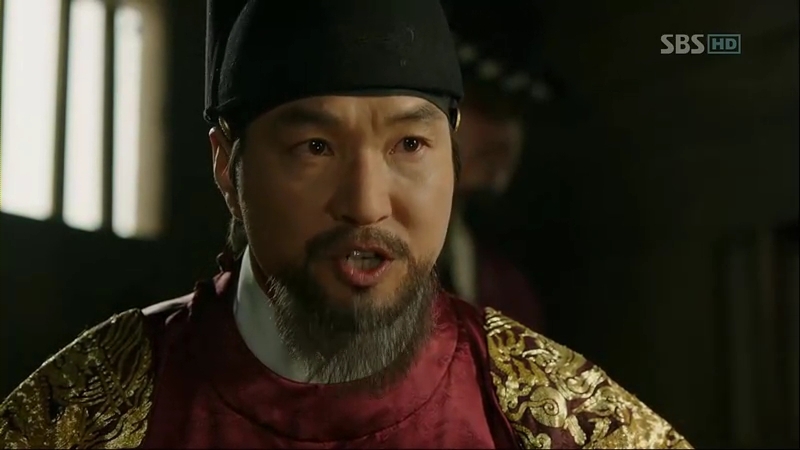 Chae-Yoon laughs at his words, saying that the people are not concerned about anything else, they only care about the prince’s safety, while the noblemen are putting so much buzz about the new alphabets. Prince Gwangpyeong explains that’s why Sejong is making them: he wants the commoners to know what the noblemen are doing instead of following their leads blindly. Again, Chae-Yoon expresses his logic about the characters that they have been using at that time. It’s not that there aren’t any letters before, but it’s the time that the commoners lack. They aren’t like the noblemen, who have all the time in the world to learn, while the commoners have to work for their meals. He himself admits that it isn’t an easy job to learn thousands of characters and with these new alphabets, it won’t be an easy thing to do either. When asked, the prince gives the number of new alphabets: it’s’ 28. Chae-Yoon thinks he’s playing with him but the prince assures him it’s really consists of 28 alphabets. He thinks it’s impossible for a few letters to be able to write anything, but the prince says it can do so, be it thousands or millions of words. Without wasting any time, So-Yi tears some of her skirt’s fabric and begins writing the alphabets on it. Showing him the letters, she explains that their letters can write any name, swear word, dialect, and practically everything. Both the prince and So-Yi bet Chae-Yoon would be able to learn it in a short time as he’s smart guy. Chae-Yoon looks at the alphabets, still astonished. Sejong can’t take it anymore and goes to meet Pyeong in the jail. The young man doesn’t tell him anything at first. 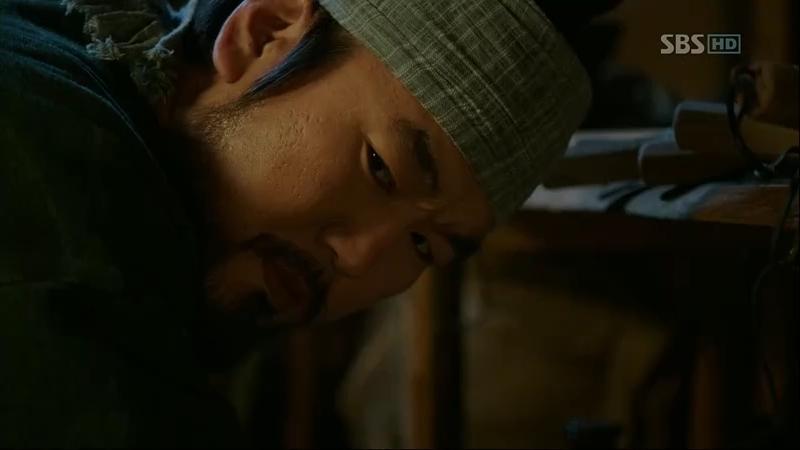 Then, Sejong begins to threaten him about the punishment he might have to endure, including his family members. But suddenly, he stops and apologizes, much to Pyeong’s surprise. He pleads for him to spare his son’s life, willing to do anything in return for the prince’s safety. Yoon Pyeong’s mouth twitches, pleased to see the king in such a broken state. Sejong lifts his head, abruptly enough as he begins his plead. “Do you think it would be like this?” Sejong returns to his initial self, giving Pyeong warning while the man in front of him is nervous. Sejong gives him a piece of his mind, saying that he won’t give up no matter what happens. He won’t do anything in return for what Mil-Bon did to him. He’ll just show them the way to their failure. He then walks away, leaving the surprised Pyeong inside the cell. Chae-Yoon tries to write the alphabets, and he can’t help but wonder whether it’s really possible for a world where everyone can actually read to exist. So-Yi comes, breaking away his bubble of thoughts. She reads everything he has written down on the ground. She’s happy because he’s able to learn in in less than half a day. He can’t believe they are finally able to write what they speak, and So-Yi assures him they can do so now. Suddenly, there is a noise coming from inside the hut. Prince Gwangpyeong’s condition has worsened and he’s in pain. He ignores his wound and starts asking about Chae-Yoon’s opinion on the new writing system. Chae-Yoon chides him, telling him not to act tough. He goes out although the doctors arelong gone since it’s already night. 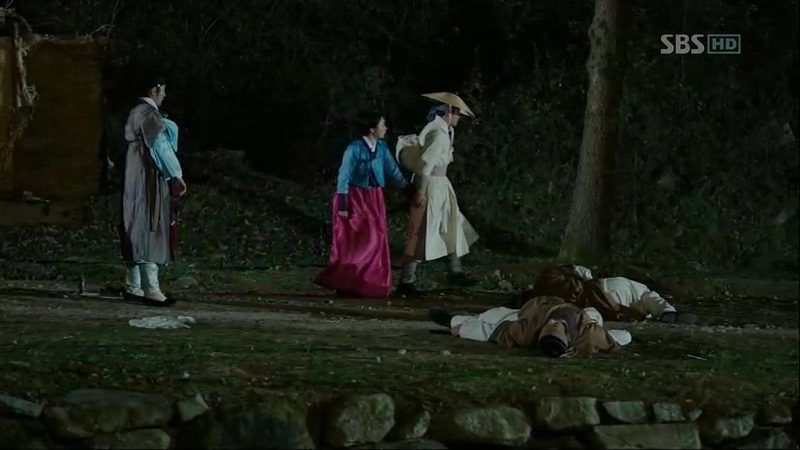 Mil-Bon hasn’t find Chae-Yoon yet, but Han is sure they’re not that far as the prince was injured. Ki-Joon orders for the search to be continued and Pyeong to be released from the jail through Minister Lee. He heads back to his place, only to find Chae-Yoon waiting for him. He is surprised, but he’s putting his Ga Ri-On’s mask in front of him. Chae-Yoon asks for his help to treat someone, and he agrees. At the Investigation Office, Pyeong is sleeping in the jail when someone walks beside the cell and drops the key inside his cell. He wakes up and immediately sees the key. Scholar Shim is just outside the jail when he breaks out. He smiles triumphantly upon seeing Pyeong successfully escapes with a horse he happens to find in front of the office. The horse is actually a trap to trace the prince’s whereabouts, without him realizing about it. Moo Hyul follows his track according to the white powder dropped from the horse. Scholar Shim meets Minister Lee to congratulate him upon his fast action on releasing Pyeong, but he didn’t do so. Minister Lee then realizes it’s a trap for them. 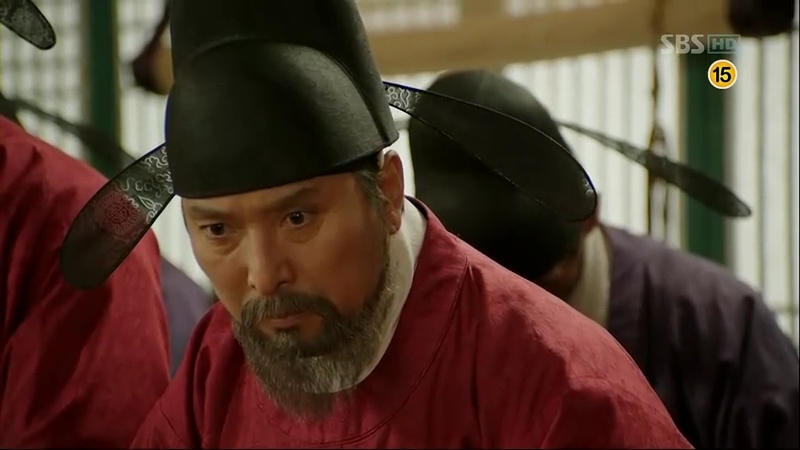 Minister Jeong, at the same time, reports about their plan to Sejong and Moo Hyul is already moving with his men. Sejong sighs, realizing that the day for the assembly is on the next day and they don’t have much time. Ki-Joon arrives at the hut and he quickly tends the prince. Outside, one of his men are watching around closely. Pyeong arrives at the base and greet Dam-Daek. She’s glad he’s successfully escaped, but unknown to them, Moo Hyul has also arrived, right behind him. He still thinks the prince is there and orders his men to search around for Prince Gwangpyeong. Soon enough, he overhears some men talking about the prince’s whereabouts and Pyeong comes out, leading the men to the prince’s place. 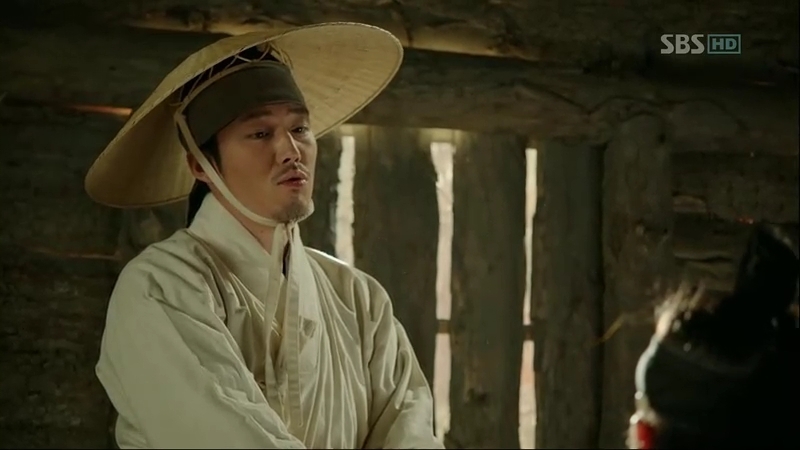 Moo Hyul decides to follow them and send one of his men to the palace to inform Sejong. Sejong is currently antsy as Moo Hyul hasn’t returned and there’s no news about him yet. It’s morning and Ki-Joon has successfully treated the prince’s wound. However, he says that he forgot to bring the medicine for his fever and tells Chae-Yoon to go find a root in the mountain to cure the fever. Just as he’s going to leave, Chae-Yoon reminds him not to tell anything about it and he agrees. Outside the hut, Mil-Bon soldiers are already there, ready to attack. 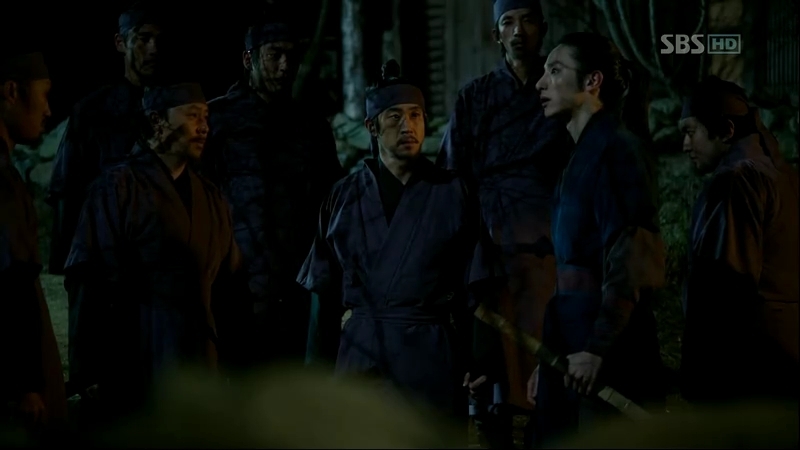 Jeong Ki-Joon tells them to wait for the right time to attack. 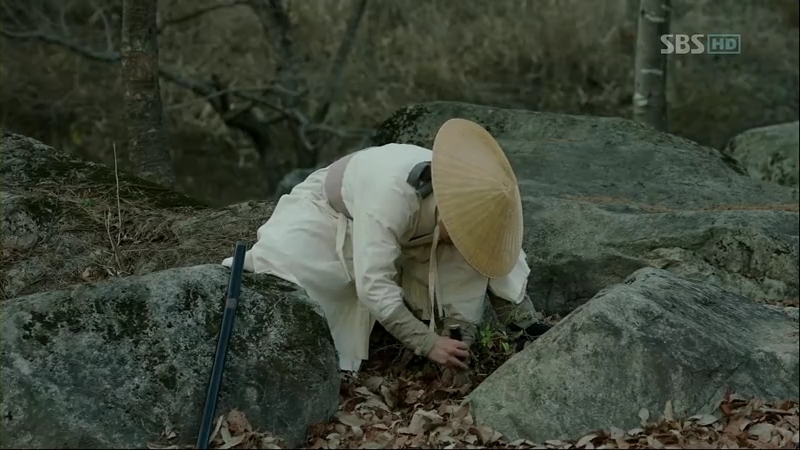 Chae-Yoon decides to find the root in the mountain. 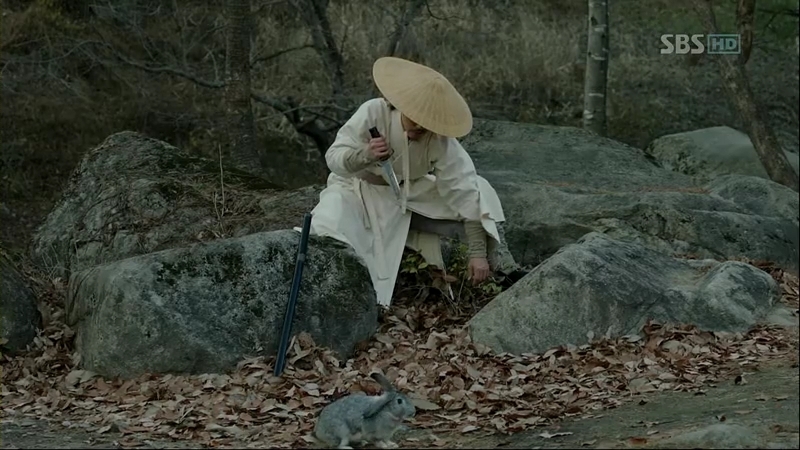 First, he’s surprised with a sudden appearance of a rabbit, but then he realizes the presence of the men around him. He pretends to be unaware of it and returns to the hut. He plans their escape while the soldiers are getting close to the hut. Moo Hyul and his men also get ready for anything that might happen. Pyeong leads the attack, but the hut is already empty. 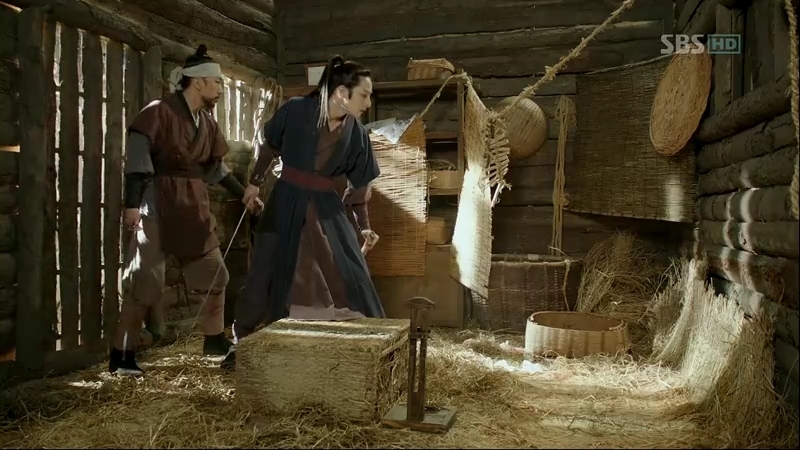 They are puzzled how Chae-Yoon is able to escape with the other two, while the people on the run are not sure whether it’s Mil-Bon or royal guards. Chae-Yoon doesn’t want to gamble and he decides it’s better for them to run. While he’s busy discussing about their plan with his men, Pyeong hears something. He attacks with a spike but it doesn’t hit the target. Then, Moo Hyul reveals himself. 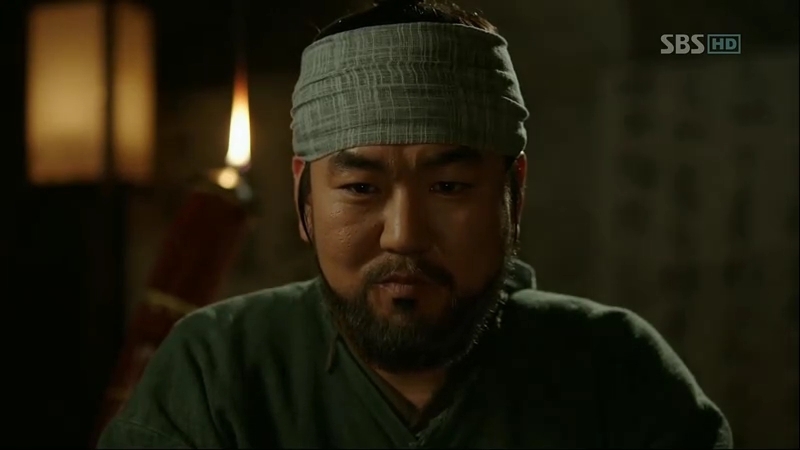 Pyeong gives the order to his men to attack Moo Hyul, but all of them are defeated by him. Pyeong also defeats every Moo Hyul’s men. 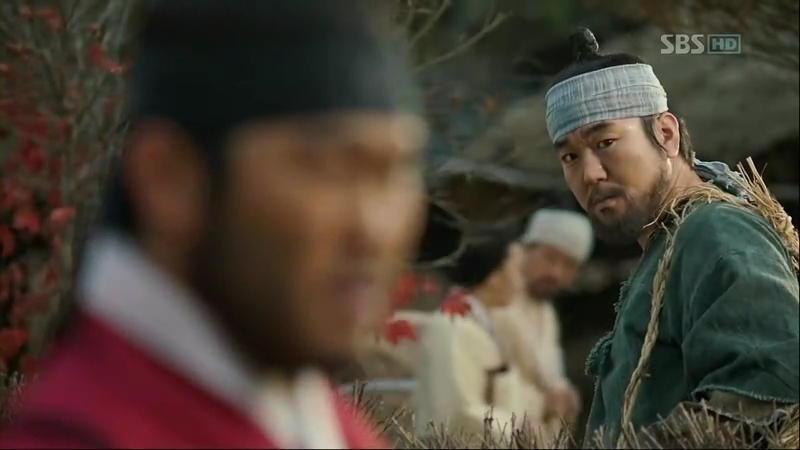 The soldiers are nearby and Chae-Yoon sees them. He makes the prince and So-Yi hide while he takes care of their opponents. When they are to resume their journey, Prince Gwangpyeong refuses to do so, instead he tells Chae-Yoon to take So-Yi and leave him there. It’s almost impossible for them to escape those Mil-Bon men with a sick man like him, but Chae-Yoon isn’t going to abandon his hostage just like that. 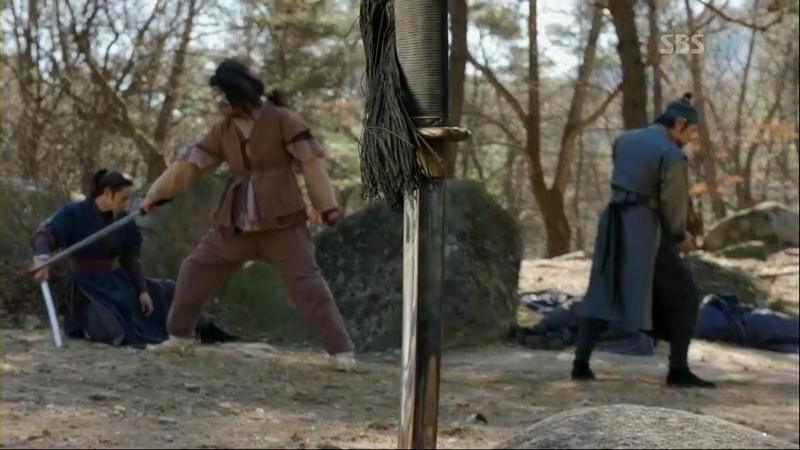 Moo Hyul is finally facing Pyeong as his opponent and he easily defeats him. He demands to know where the prince is, but suddenly, a masked man comes from behind and knocks Moo Hyul’s men off. He attacks Moo Hyul and with a single blow, Moo Hyul’s sword falls from his grip. When he turns around, the man vanishes, taking Pyeong with him. The masked man is the messy man and he admits his opponent earlier is strong. It’s kyeongyeon time, and Sejong is still at the Gyungsungjeon. Minister Jeong is trying to persuade Sejong into going to the discussion. He gives some suggestions to Sejong but Sejong wants to be alone for a while. 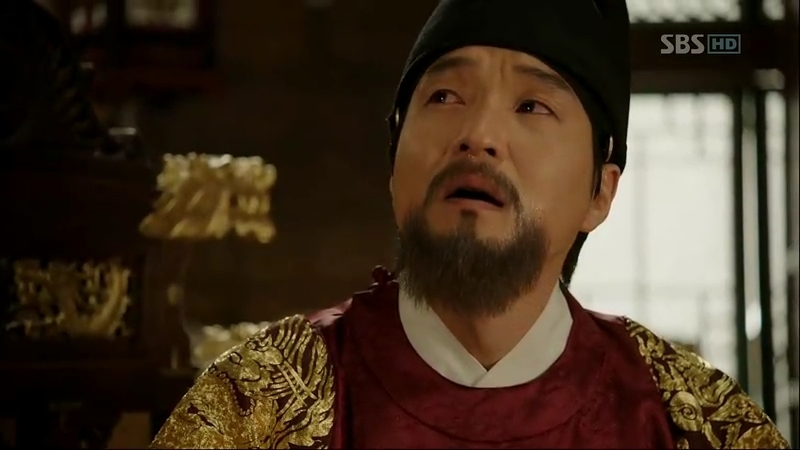 Once Minister Jeong has gone out, he cries, calling out Prince Gwangpyeong’s name. 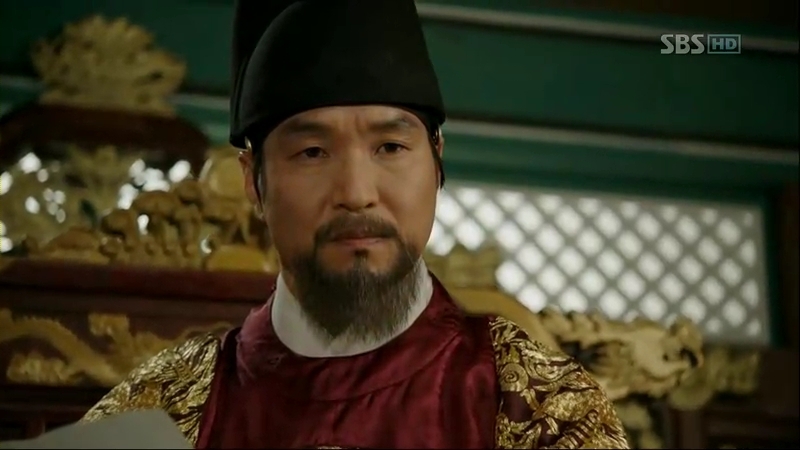 The ministers and scholars are debating over the hot issue but then, Sejong enters. He shows them the notice talking about Prince Gwangpyeong and begins to talk about it. He decides to give his answer. “Cut the crap!” He says. 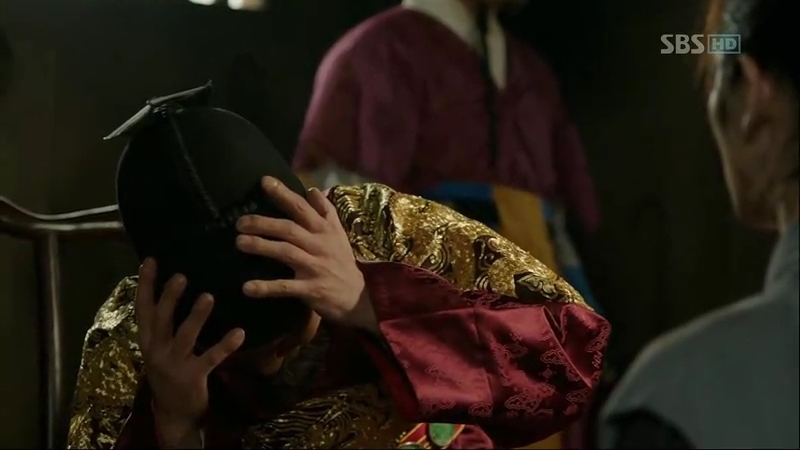 Sejong says it’s a ridiculous thing to expect a king to surrender everything solely for his son’s safety, while the prince would be even sadder if the king decides to give up everything only for him. He openly admits about him making the alphabets and the discussion about it will be conducted. Before he leaves, Sejong tells them in case there is Mil-Bon around them, the Mil-Bon should convey the message to their leader, returning the words Jeong Ki-Joon once said to him: violence, is that all what you’ve got? 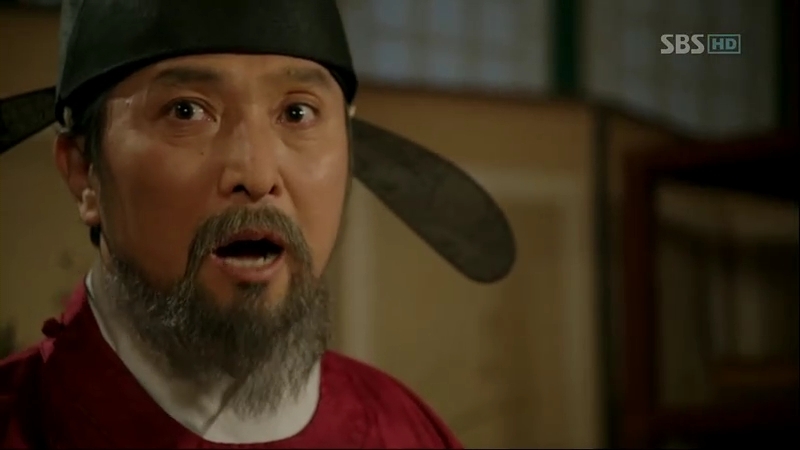 Scholar Shim, Minister Lee, and Minister Jang’s faces turn white upon hearing this. Sejong walks away while thinking about his prince and vows not to shed a single tear for him as he’s doing all this for him. He returns to Gyungsungjeon, and the sight of Prince Gwangpyeong surprises him so much until he collapses onto the staircase. 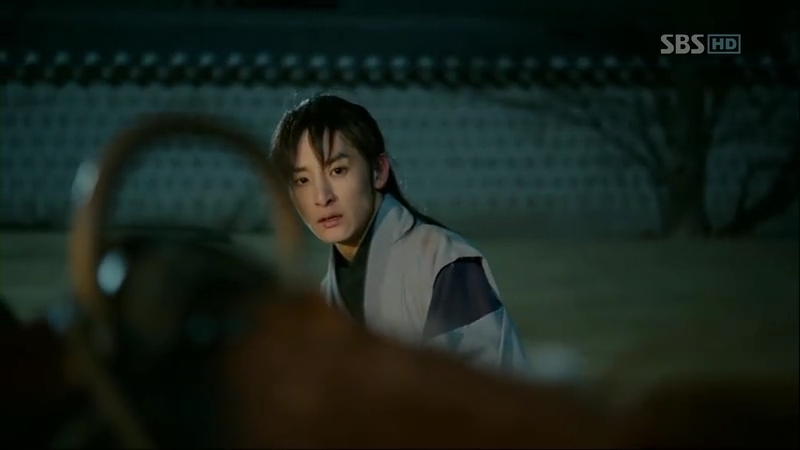 So-Yi and the prince run towards him, afraid he’s hurt. Sejong looks at his son with teary eyes, happy to see him alive. While the Mil-Bon team is frustrated with their failure, Sejong is angry to know his prince is actually betting on him. 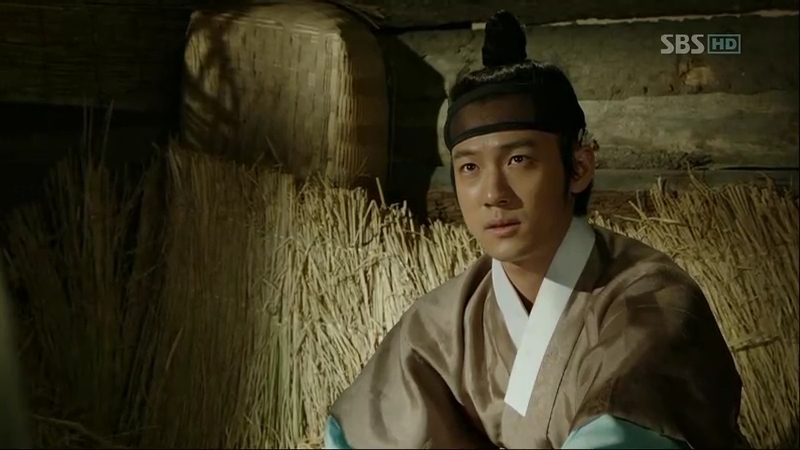 The prince explains about Chae-Yoon’s willingness to work for the king without any condition if he loses. 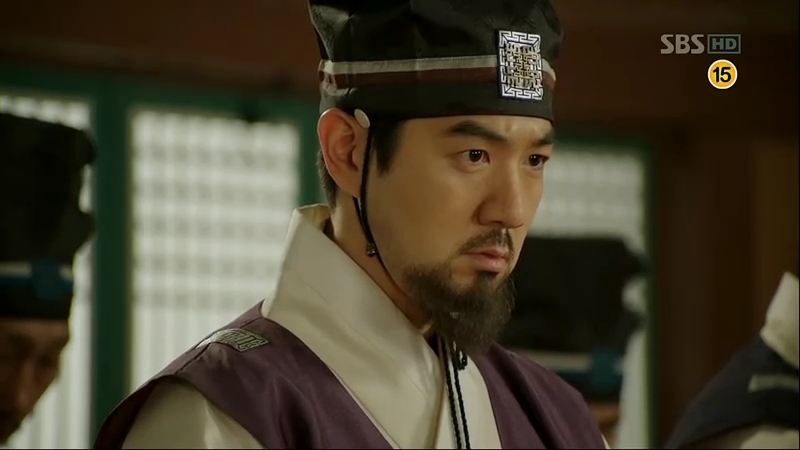 Chae-Yoon admits it but before that, he has one condition, making the prince angry at him. 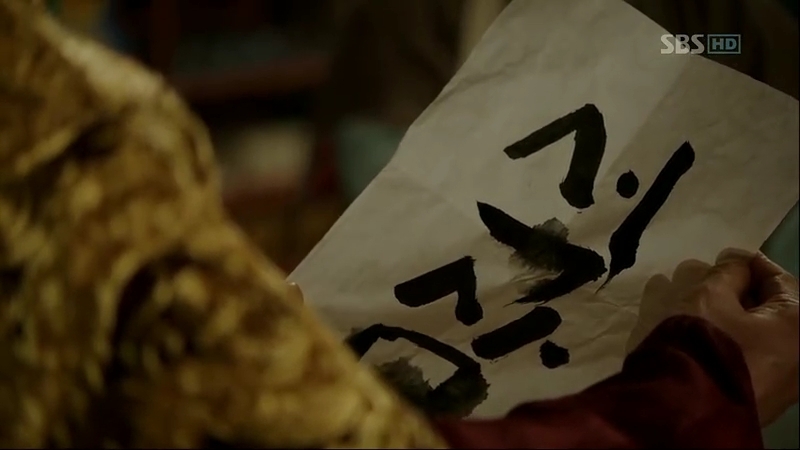 He kneels in front of Sejong and hands him a piece of paper written with something in Hangul. Explaining that it’s his father’ name, he only wants Sejong to remember it. 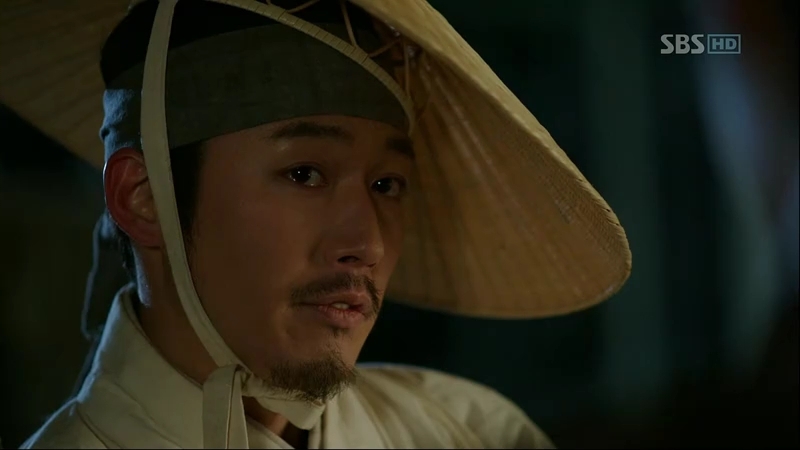 Sejong gives his words to Chae-Yoon and promises to do so. Hooray! Now they Chae-Yoon and Sejong are on the same boat, everything should be running smoothly! Okay, enough of the celebration. I first thought it’d be better if Sejong was the one who explained the alphabets to Chae-Yoon, as his offer had been rejected by Chae-Yoon. However, after watching the scene, it is an appropriate thing to make Prince Gwangpyeong the one who discloses them to him as the prince’s own life is put on bet, together with the alphabets. It’d do him justice, but it’s nice to see some moment of glory for the prince. He totally deserves that as a reward for having endless faith in his father. And the sweetness of his victory on Chae-Yoon? Priceless. I am so happy to see him able to show the simplicity of the alphabets and even manages to make Chae-Yoon learn all of them. Talking about Sejong…is there anything left to say about him? Probably I’ve run out the words to describe him, but he leaves me totally admiring his persistence. I believe he’s one of the most consistent characters in this drama, and he’s not following anyone but his own’s instinct. He’s totally living up to his promise to his late father,Taejong: to lead with words. He’s confident enough to tell the ministers about his alphabets, and he doesn’t even use any force in gaining the people’s support as he’s confident in what he’s doing. 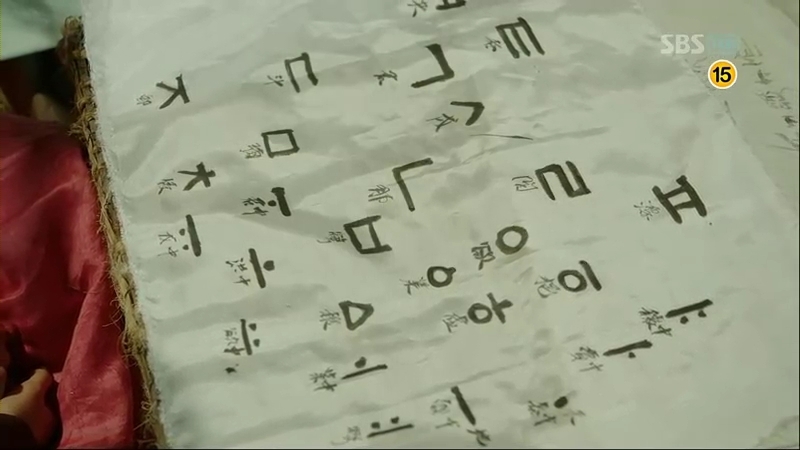 He’s sure they will admit the simplicity of the new writing system, just like what Chae-Yoon did. But I’m quite surprised the way he switches back and forth between a ruthless, weak, and firm side of him in front of Pyeong. No wonder the man freaks out a bit, seeing a king like him who refuses to budge and does the thing his way. I love his persistence, but that’s maybe one of the qualities a king should have. It must be cool to have a king like him.